The Financial Action Task Force (FATF) will review whether Pakistan has made enough progress on global standards against financial crimes. Islamabad: A group of experts from the Financial Action Task Force (FATF) will review whether Pakistan has made enough progress on global standards against financial crimes to warrant its exclusion from the watchdog's grey list. The Paris-based global body is working to curb terrorism financing and money laundering and has asked Pakistan to reassess the operation of banned terrorist outfits in the country. Pakistan is under intense international pressure to rein in terror groups like the Jaish-e-Mohammed (JeM) after the Pulwama terror attack in Jammu and Kashmir. In June last year, the Financial Action Task Force had placed Pakistan on the grey list of countries whose domestic laws are considered weak to tackle the challenges of money laundering and terrorism financing. The delegation of the Asia-Pacific Group (APG) will reach Islamabad today and meet officials this week to see the progress, the Dawn reported. "The meetings will start on Tuesday and will end on Thursday," Finance Ministry spokesman Dr Khaqan H Najeeb said. He said experts from the ministries and other key institutions would get an opportunity to explain and convince the assessors about Pakistan's performance. It declared as "high risk" all the eight entities and related elements specifically named by FATF as threats to the global financial system. 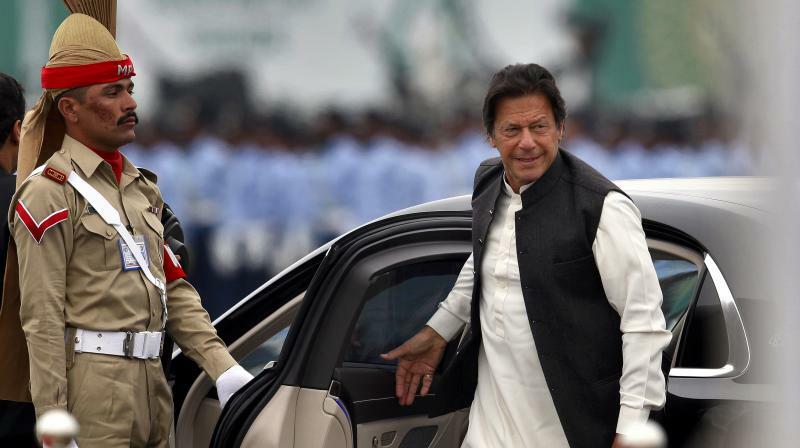 Achieving 27 targets under a 10-point action plan has now become a top priority for the Imran Khan-led government, the report said. Pakistan has written to FATF president Marshall Billingslea to appoint any other member as co-chair of the Asia-Pacific's Joint Group, in place of India, to ensure that the FATF review process is fair, unbiased and objective. The government has so far fined six banks and started investigations against 109 bankers for opening "fake" bank accounts. Memorandums of understanding are being signed with the UK, Qatar, the UAE and Australia for sharing of intelligence, the newspaper said. Pakistan is also trying to improve coordination among different agencies of the government through centralised software, the news report added.